You are viewing articles from military.richmond.edu. Maxwell Coleman, '20, participated in the Cultural Understanding and Leadership program in summer of 2017. As the only law student in the University of Richmond’s Army ROTC battalion, Polina Tsvetikova is putting her status to good use. 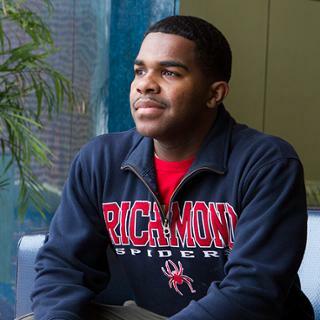 A Gates Millennium Scholar ponders how to be a force for change and dialogue while finding his place at Richmond. Maj. Gen. Gina Farrisee, W’78, is serving as the Jepson School’s 2011-12 leader-in-residence. She visited campus Sept. 26-27 to share her expertise and meet students. 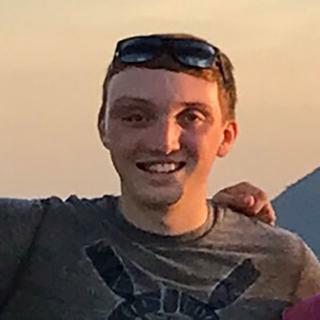 Junior Colin Billings spent part of his summer in the Middle East, learning ways to break down barriers between people of different faiths. The Department of Military Science and Leadership conducted a battle staff ride to improve student understanding of historical battles, assess historical tactics based upon the U.S. Army's current principles of war, and to assist in the student’s officer development by assessing battlefield leader decisions. University of Richmond Cadet Brad Praskach, ’10, was selected to train with 1,100 United States Military Academy cadets during West Point's rigorous eight-week summer field training program. Three members of the University of Richmond’s Spider Battalion, were commissioned into the United States Army on Saturday, May 9 at Cannon Memorial Chapel. The Department of Military Science and Leadership's 2008 Ranger Challenge team, led by senior cadet Daniel Fornicola, received one first place streamer and three third place streamers in an ROTC competition.